We recently invested in the Mazak Fabrigear II 220, a state-of-the-art tube laser machine designed to bring even higher quality and value-driven custom metal fabrication to our process. 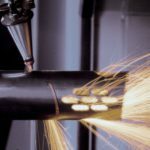 Tube laser technology introduces several significant advantages to All Metals Fabrication, including incredible speed increases, notable savings in downstream assembly costs, and the ability to overcome previous design limitations. Our new Mazak Fabrigear II 220 tube laser utilizes a synchronized four-chuck material clamping system to make sure any tube or extrusion sets firmly in place while the laser beam actually cuts. 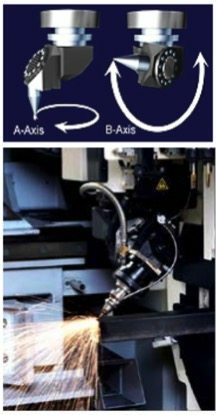 Unlike competing machines, this system creates a highly accurate cutting process that begins to approach machining tolerance for pieces and parts that have to be just right. All Metals Fabrication’s tube laser is set to handle tubing and sizes up to 8 inches in diameter and 6 inches square—along with the heaviest of wall thicknesses. In addition, our tube laser can handle 24-foot lengths of material both in and out of the machine. All Metals Fabrication’s tube laser machine offers a true, full five-axis head, which allows the machine to cut around unique shapes, sizes and extrusions. In fact, it’s the only 3D tube laser with the true, full range of motion necessary to cut unique shapes like wide flange beams or custom extrusions. The head includes A-axis with full 360-degree movement, and B-axis with 135 degrees of rotation—the best in the metal fabrication industry! 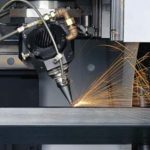 Another notable feature is the tapered laser torch, which allows for the laser cutting head to get into tight corners, and results in the ultimate flexibility to cut any shape or size. This capacity is a significant advantage, particularly downstream, when part assembly (especially welding assembly) requires a tight fit up with beveled edges that are weld-ready as soon as the parts come together (no grinding or hand beveling required). 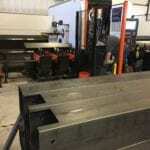 Click here to learn more about All Metals Fabrication’s tube laser.